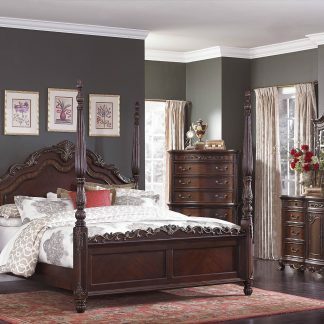 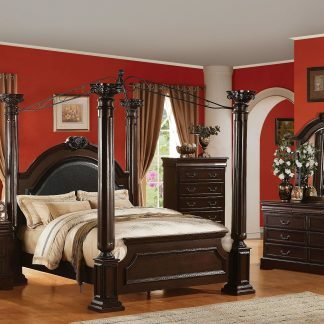 The Roman Empire Collection will bring your bedroom to life with its traditional style. 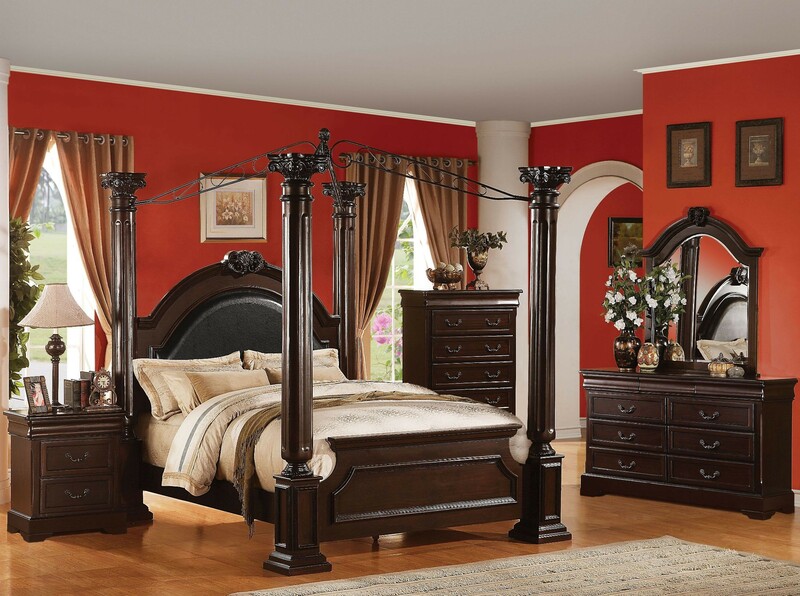 The canopy bed features large iconic columns with a metal canopy top and leather-like vinyl padded headboard and footboard. 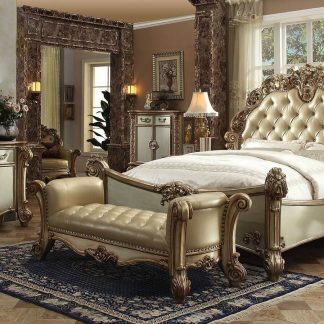 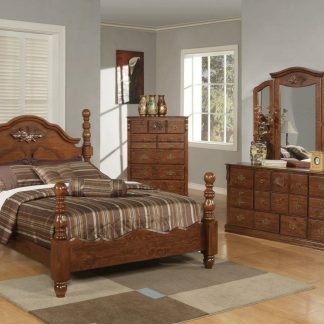 This set includes the King/Queen bed frame, dresser, and mirror. 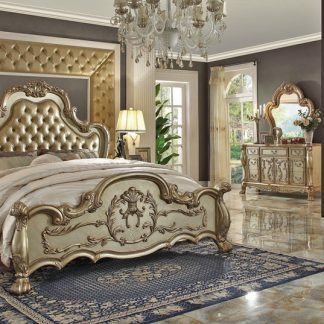 Purchase the chest and get the nightstand free.